A recent blog by Grant Wiggins affirmed what I have long believed about creativity: it is a 21st-century skill we can teach and assess. Creativity fosters deeper learning, builds confidence and creates a student ready for college and career. However, many teachers don't know how to implement the teaching and assessment of creativity in their classrooms. While we may have the tools to teach and assess content, creativity is another matter, especially if we want to be intentional about teaching it as a 21st-century skill. In a PBL project, some teachers focus on just one skill, while others focus on many. Here are some strategies educators can use tomorrow to get started teaching and assessing creativity -- just one more highly necessary skill in that 21st-century toolkit. Now, these are just some of the quality indicators you might create or use. Don't forget to make them age- or grade-level appropriate so that students can understand the targets and how they are being assessed. You might create a rubric from these quality indicators or keep them as overall goals for the students to work on throughout the year. Wiggins mentioned this rubric as a start. The February 2013 issue of ASCD's Educational Leadership also has an article that includes a rubric. We have all used activities for students to brainstorm solutions to problems, be artistically creative and more. Now is a chance to be very intentional with these exercises. In addition to just "doing" them, pick the activities that specifically work on quality indicators of creativity. They can occur at varying stages of a PBL project, whenever the timing is appropriate to where students are in the PBL process. We know that students can show knowledge in different ways. In a PBL project, for example, public audience is an essential component, and students must present their work. PBL teachers offer voice and choice in how they spend their time and what they create. This is a great opportunity to foster the creative process. Students can collaborate on how to best present their information, what to include, and perhaps even a target audience. Coupled with the other strategies mentioned in this piece, voice and choice can build creative thinkers. There are some specific thinking skills that creative people use. You will often find these in the quality indicators of creative people and embedded in the language. One example is synthesis. In synthesis, people combine sources, ideas, etc. to solve problems, address an issue or make something new. Being able to synthesize well can be a challenge. If we want our students to do well with this creative skill, we need to model the thinking of synthesis in a low-stakes, scaffolding activity that they can translate into a more academic pursuit. I find that the more I help students understand and practice these thinking skills, the better prepared they are to be creative! These mini-lessons and activities occur within the context of a PBL project to support student learning. Whether you are using S.M.A.R.T Goals or short reflective activities, this is a critical component of teaching and assessing creativity. Students need time to look at the quality indicators and reflect on how they are doing when it comes to mastery. They can also set goals on one or more these quality indicators and how they will go about doing it. This reflective process and metacognition also helps build critical thinking skills, and should be used throughout the process of a PBL project, curriculum unit or marking period. Let's provide opportunities for students to think critically about creativity. If we want our students to be creative, we must give them not only the opportunity to do so, but also the finite skills and targets to be able to do so. When you combine these strategies, creativity can become part of the culture of a PBL project and classroom in general. 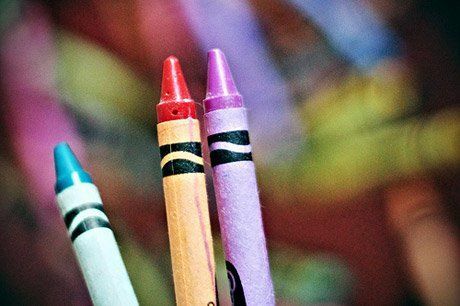 You may or may not "grade" creativity, but you can certainly assess it. How do you intentionally teach and assess creativity in your classroom? This post is part of a series sponsored by Autodesk.